With internet linked digital animation, film, sound and music combined with a traditional board game feel with tactile elements and fun interaction between players. 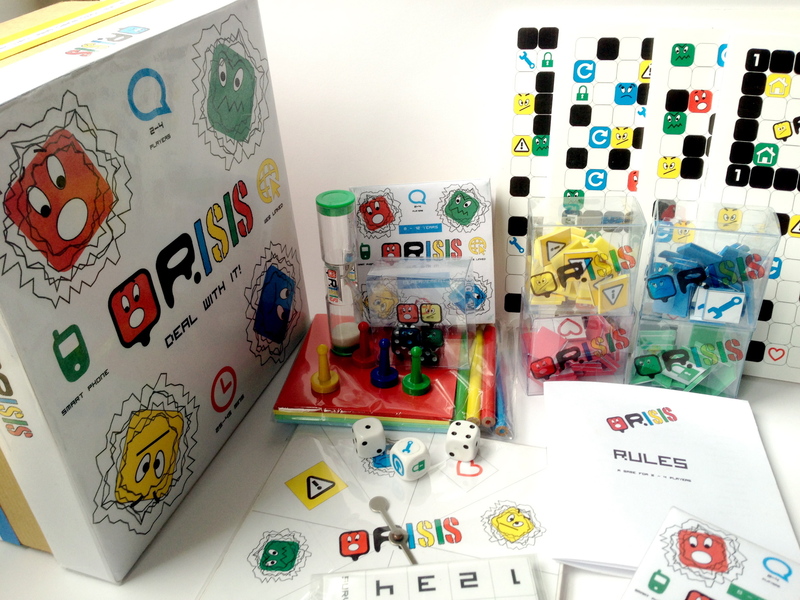 Explore your emotions with QRISIS! The game is expandable with Theme Card Sets, for example “Bullying”, choices based on age and ability of player. So simple to upgrade and update your base game! Flexible and super fun, every game is a different experience! A great way to learn about emotions and how to deal with them whilst playing with friends in a safe environment. Using a smart phone or tablet, you can interact with the digital content whilst playing. Purchase expansion packs to extend your game for younger/older players and different experiences. Improve communication skills, act out scenarios to better understand your emotions. Takes a few minutes to learn, play can vary in length, choose between a short game or longer play, it’s your choice! Dealing with your emotions has never been so much fun! The familiarity of a traditional board game, with tactile elements, play pieces, timer and tokens combined with digital interaction with a smartphone or tablet. Takes only a few minutes to learn, simple rules, intuitive play, choose from a quick game to longer play. Traditional game play feel, a fun way to learn about emotions with friends and family, in a safe play environment. Purchase a selection of Expansion Packs to allow for greater variety of game play, more subjects are being added for all ages and abilities. Up to four players or teams compete to win, while interacting with the digital content, role playing, and learning about expression of emotions in a healthy and safe way. Traditional board games offer a tactile way to interact, with digital interactivity the experience is even greater and definately more fun with sound, music and animation. View digital content with internet linked cards, watch animations and movies to enhance your game experience. A traditional board game but with sound and music to enhance your gaming experience for true multi-media play. Purchase expansion packs to add great new features, with new content for variety of age ranges and experiences. Play with friends and family individually or as part of teams. Flexible game play with variety of options to customise your game. Internet linked game play with digital content accessible through smartphone or tablet for digitally enhanced game. Available in five different language translations: English, Spanish, French, German & Italian. Multi-lingual expansion packs also available. With internet linked digital animation, film, sound and music combined with a traditional board game feel with tactile elements and fun interaction and role play between players. 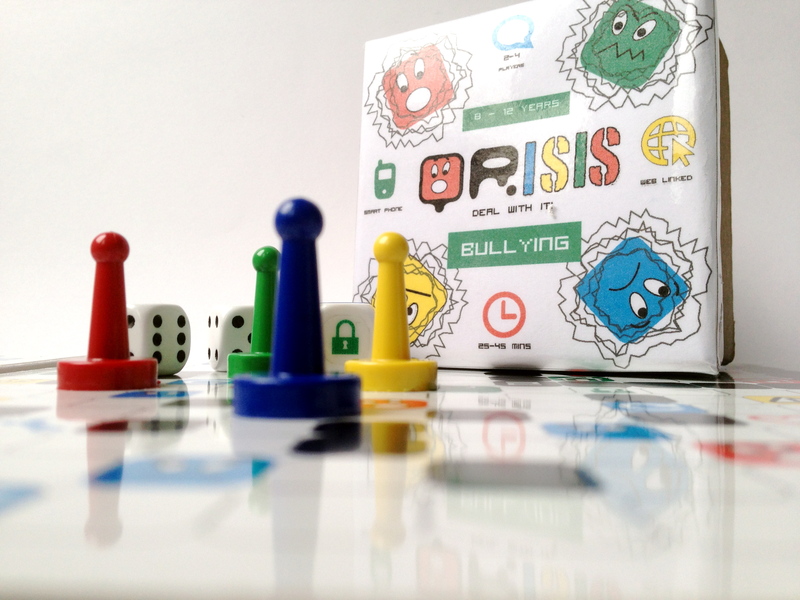 Explore your emotions with QRISIS – the internet linked board game. Fully expandable and updateable with new content that is future proof and relevant. Limited Edition Game Board. Get Yours Now!